Utah’s Veterinary Diagnostic Laboratory (UVDL) is an important warning system, protecting the state’s animal health, food supply, and overall agricultural economic performance. 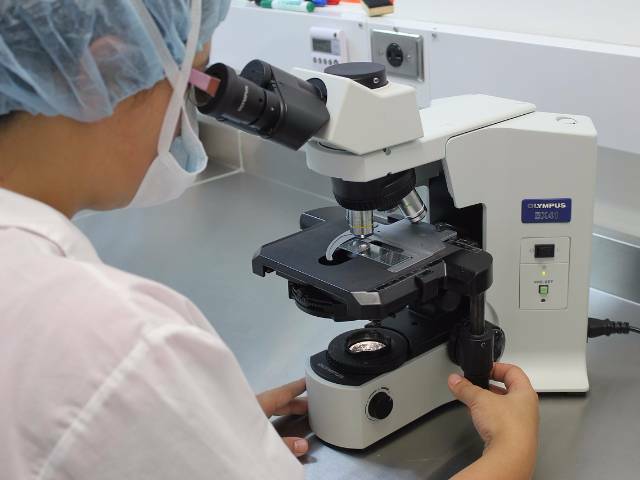 Each year, laboratory personnel run in excess of 100,000 diagnostic tests to identify animal diseases, including those that can be passed from animals to humans. One recent example is the detection of Virulent Newcastle Disease (vND) in chickens in Utah County. This led to a quarantine and cleanup effort to prevent the disease from spreading. Should vND spread, it would have a devastating impact on Utah’s poultry industry. In 2018, the laboratory handled 11,963 total cases (called accessions), which resulted in 109,507 individual tests (called assays). Most of the cases (78%) were from Utah, while the remainder were from Idaho (7%), Wyoming (4%), Iowa (4%), California (2%) and other states (5%). Within Utah, submissions from nine counties (Cache, Utah, Box Elder, Salt Lake, Duchesne, Uintah, Weber, Sanpete and Washington, listed in decreasing order) accounted for 7,419 (79%) of Utah’s cases. Pittman also said that sometimes treatment and/or quarantines are an option, and euthanasia followed by necropsy (animal form of an autopsy) occur as needed. “Preservation and protection of animal and human health are shared interests we have with our livestock owners,” said Pittman. UVDL operates as a partnership between the Utah Department of Agriculture and Food and Utah State University (USU), with the main laboratory in Logan and an additional laboratory in Spanish Fork. The UVDL laboratories are also part of a national lab network, overseen by United States Department of Agriculture’s Animal and Plant Health Inspection Service (APHIS). APHIS centralizes and reports data gathered from state labs to safeguard the entire nation. Click here for more information about the lab.